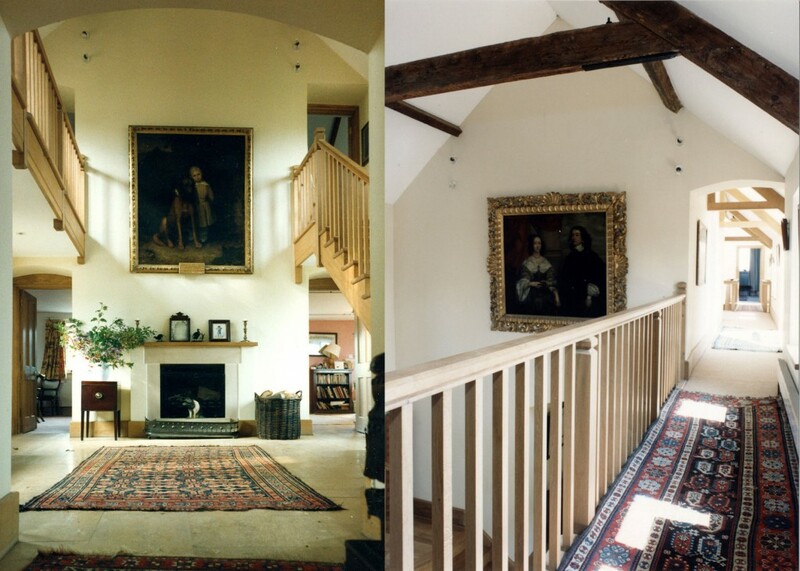 This small Oxfordshire farmhouse was attached to outbuildings around a courtyard and a large barn had been converted for use as a living room on the upper level. 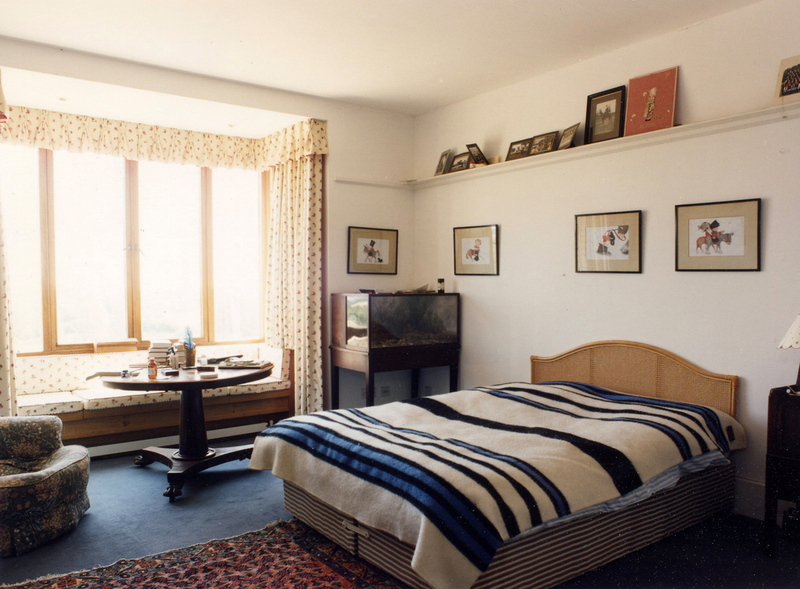 The rest of the house was a multiplicity of small rooms. 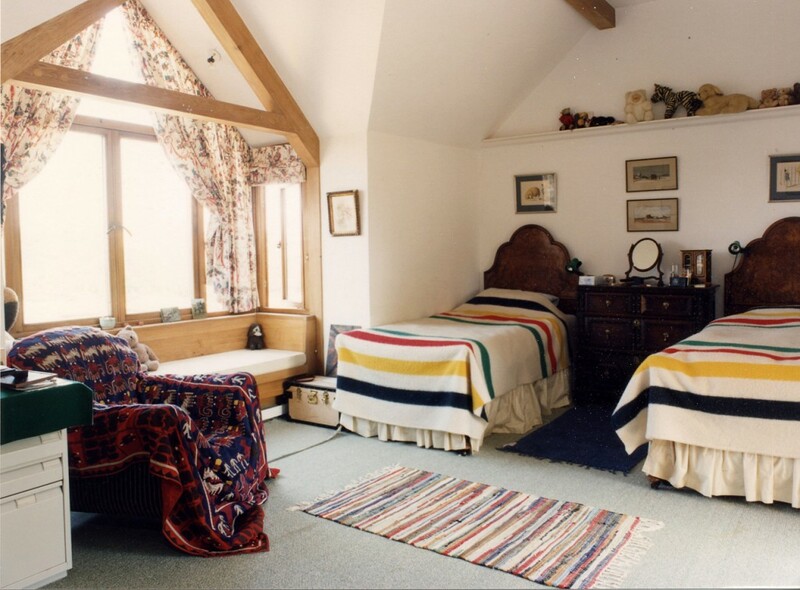 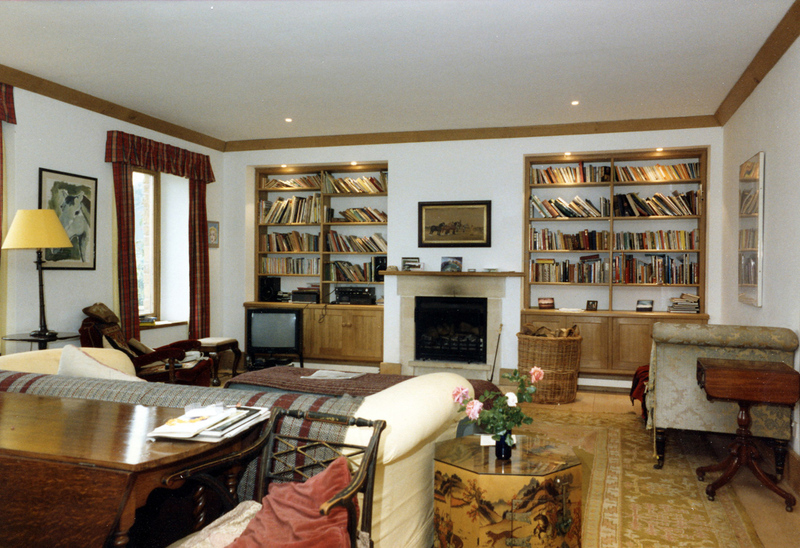 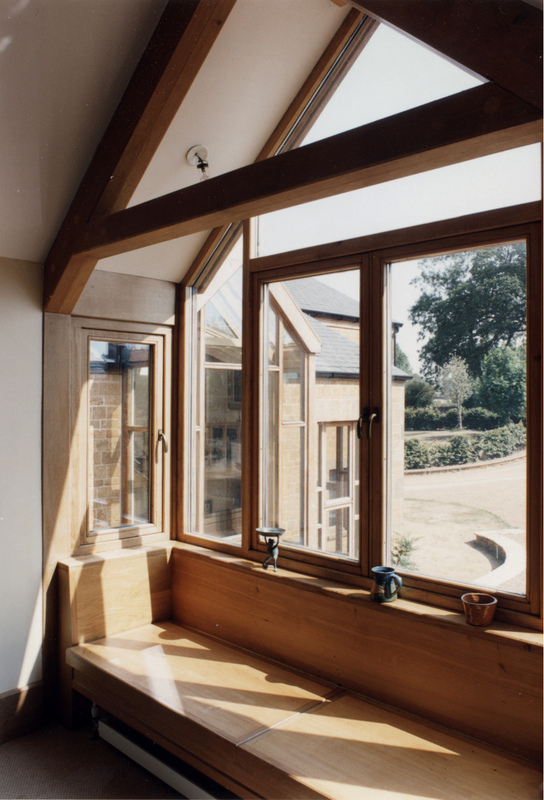 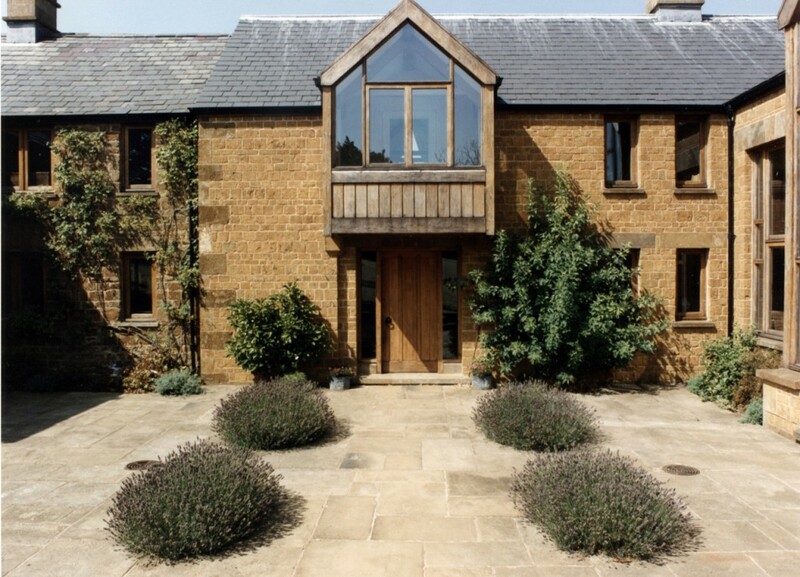 Our first job was to convert the small barn as an office and utility room and created two bedrooms and bathroom out of the adjoining cowshed. 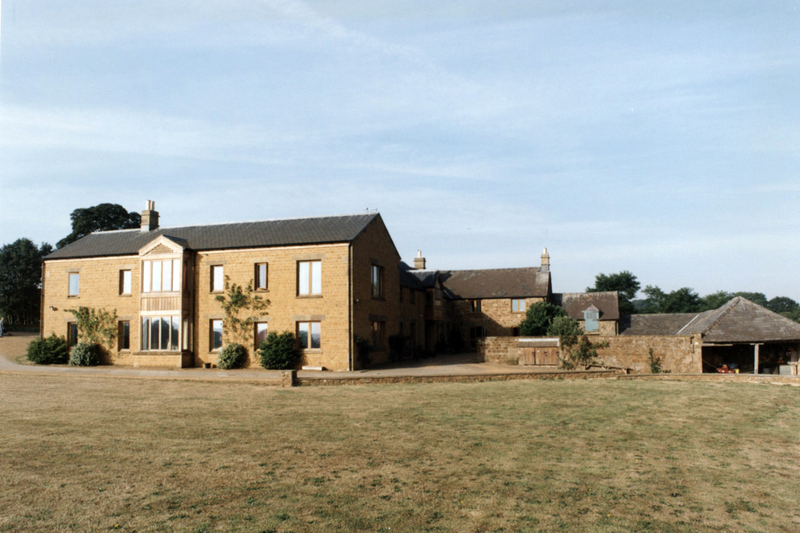 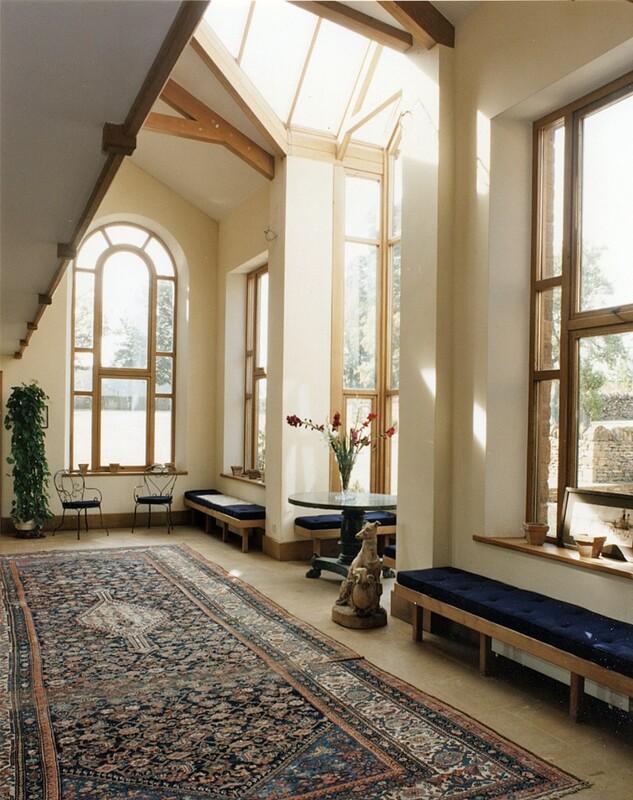 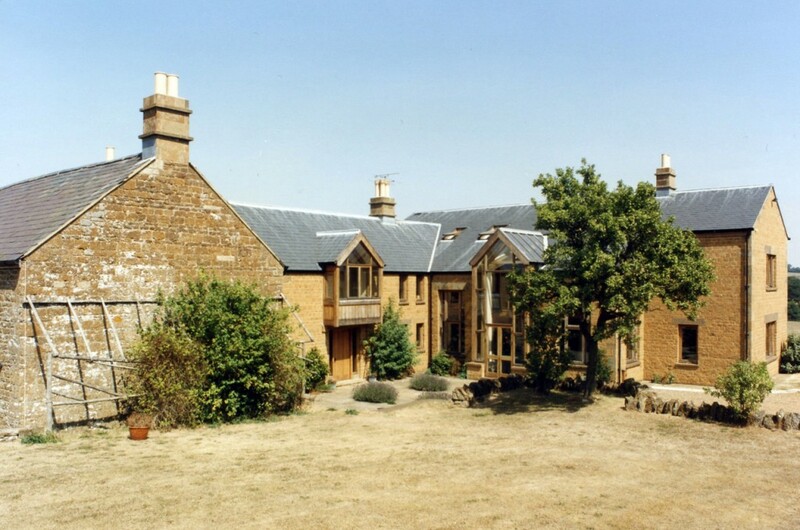 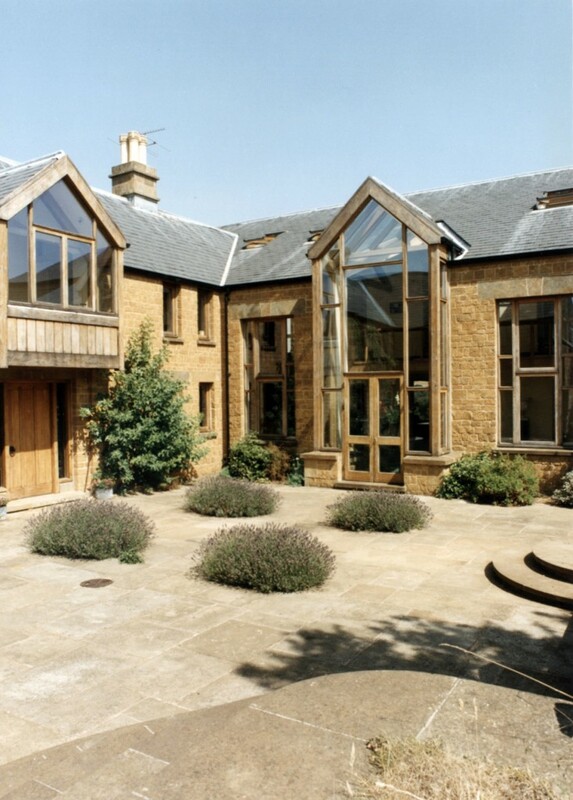 A few years later, we were asked to design a large extension. 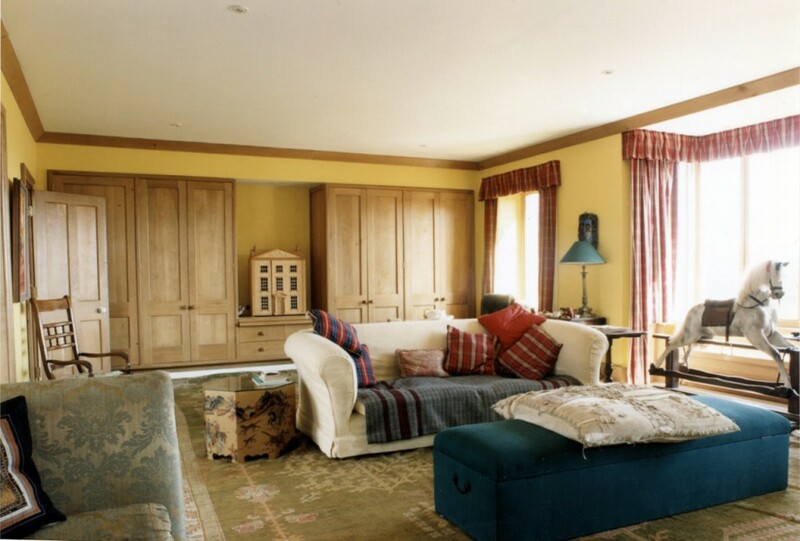 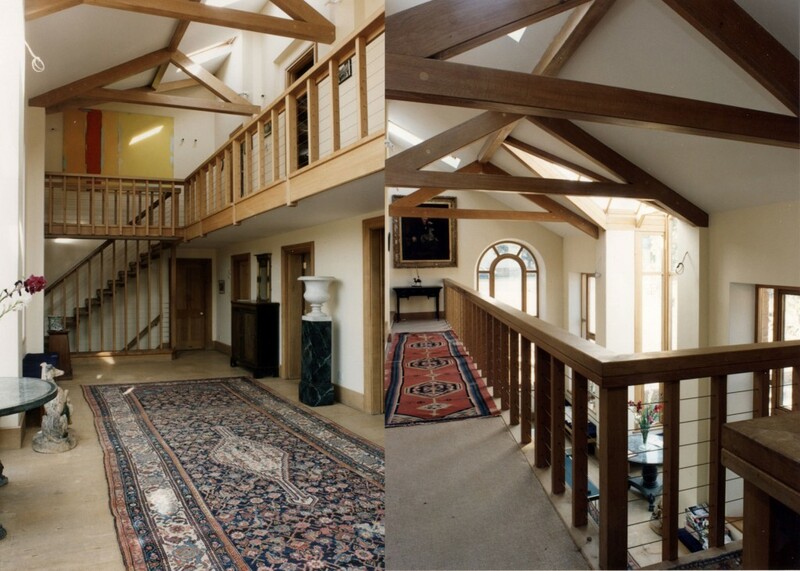 Our clients wanted a robust and substantial family house with good sized rooms. 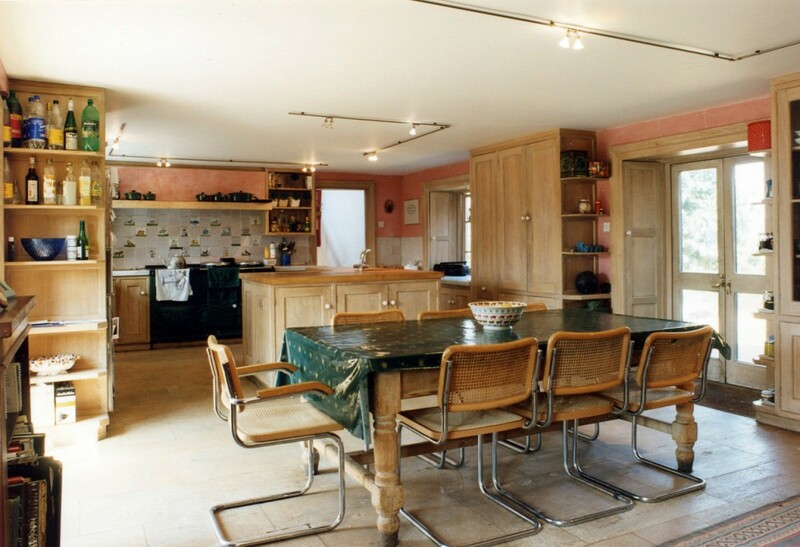 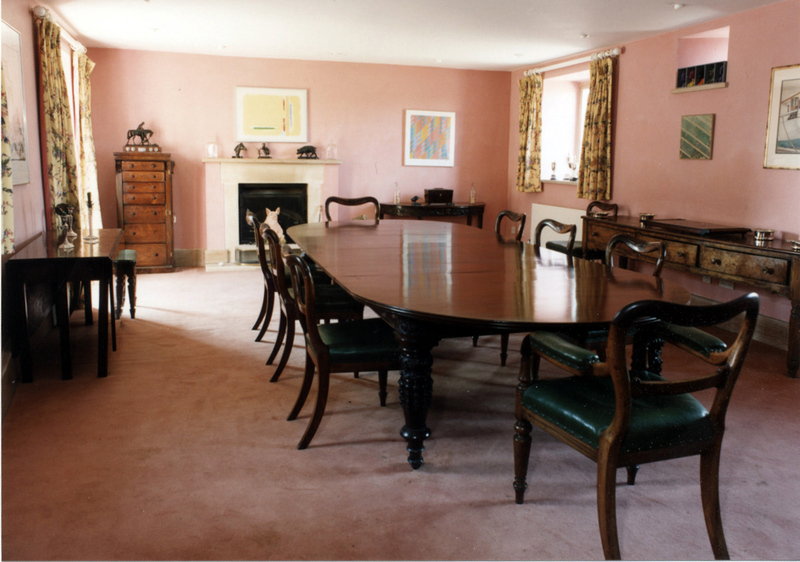 The original house became the kitchen, dining room and entrance hall. 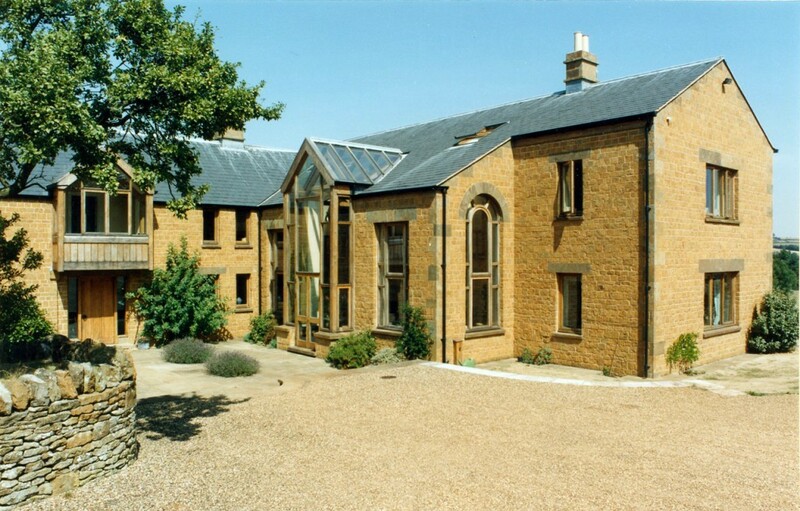 The local Hornton stone was used, with oak in roof structures and joinery. 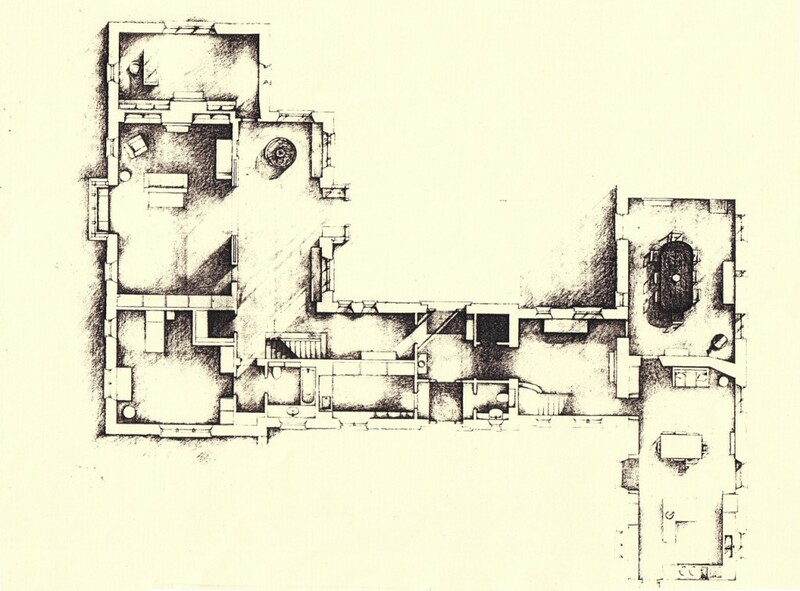 Interest was created within the extended circulation passages with seating bays and galleries. The projecting bays providing shelter over external doors and panoramic views from inside were inspired by the loading doors and roof of the small barn.